Community Services for Children is honored to welcome Kim Capers and Christopher Hunt to its board of directors. Hunt is assistant vice president and dean of students at Lafayette College. Prior to assuming this role in July, he was the college’s dean of equity and inclusion, responsible for the oversight of a wide array of student support programs ranging from the counseling center and crisis support to recreational activities, residential life and student conduct. 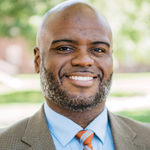 He previously worked at Moravian College, as associate dean of students and director of intercultural advancement and global inclusion, and director of student life/housing and summer conferences. He has held adjunct faculty member positions at Moravian College and Warren County Community College. Hunt has delivered numerous trainings and presentations and is a member of professional associations related to diversity, inclusion and student life. He holds a doctorate of education in administration and leadership studies from East Stroudsburg University, a master’s in administration with a higher education concentration from West Chester University and a bachelor’s degree from East Stroudsburg University. Capers is an outreach coordinator and marketing representative for Capital BlueCross. In that role, she advocates for children and families by promoting the Pennsylvania state-funded Children’s Health Insurance Program (CHIP). She also serves on the organization’s corporate sponsorship committee. She is an active community volunteer, serving on the executive committee of the Lehigh Valley Hospital Board of Associates and holding board positions with Boy Scouts of America Minsi Trails Council, Lehigh Carbon Community College Foundation Board and Community Action Committee of the Lehigh Valley. She serves on the advisory council for the Allentown Anti-Hunger Task Force and Lehigh Valley Health Network Children’s Hospital. Capers was the 2017 co-chair of the American Heart Association’s Go Red Luncheon, was awarded the 2015 Athena Award from the Greater Lehigh Valley Chamber of Commerce and was selected as a 2010 Take the Lead award recipient by the Girl Scouts of Eastern Pennsylvania. She holds a bachelor’s degree in business, marketing and healthcare management from Muhlenberg College. Community Services for Children is a regional leader in early childhood education and family services, affecting the lives of 40,000 children annually. CSC’s Head Start/Early Head Start program is recognized as a national center of excellence and innovation.